Rancho Vista Church is excited to welcome aboard two new staff members to our team. Michelle Jones is a wife, mother of two, and substitute teacher in Chula Vista. 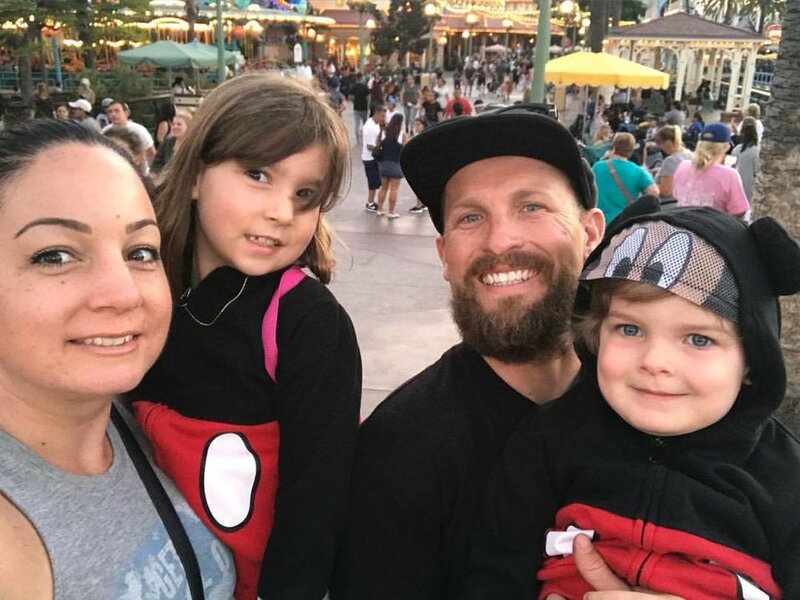 She and her family have been actively involved Rancho Vista for a number of years, and she will be joining us as our new Children's Ministries Director. Jasmine Mixon is a military spouse and mother of two originally from Alabama and has been living in Southern California for nearly four years with her family while her husbands serves on active duty in the US Navy. She and her family have been actively involved at Rancho Vista for over a year. Jasmine will be joining us as our new Church Administrator. We are excited to see what God has in store for the future as they take on these new leadership roles here at Rancho Vista. PART ONE: INSPECTION - November 5th Until your family commits to an honest assessment of the core foundations of your relationships, no restoration can occur. PART TWO: DEMOLITION - November 12th In order for any remodeling or renovation to take place, you have to get rid of that which is broken or outdated. PART THREE: REDESIGN - November 19th Without a specific plan its impossible to choose the colors, styles, and options that will make for the perfect home. PART FOUR: RENOVATION - November 26th When gifted craftsmen are released to do their work, the real excitement begins. PART FIVE: HOUSEWARMING - Dec 5th Discover how the long term health of your home is dependent on four basic family systems. The Marriage Course is seven sessions designed to help couples strengthen their relationship. Each couple will have private time to connect and discuss relationship issues (no group work) while enjoying a relaxing date night atmosphere over coffee, tea, and desserts. Sessions will be led by Dr. Emma Phan and Dennis Harris MFT. Both Dennis and Emma have thriving practices in Chula Vista where they help individuals and families succeed. Open to engaged, cohabitating, newlyweds or couples in a long term marriage. The Marriage Course Chula Vista is excited to have Dennis Harris MFT as one of our featured presenters. Dennis is a Chula Vista resident and has been married to the same sweetheart for over forty years with two married children, four grandchildren and two dogs. He maintains a private practice in Chula Vista, California and has years of experience working with all kinds of couples and families to strengthen and enhance their relationships. We are excited to announce that Dr. Emma Phan will be one of the presenters The Marriage Course Chula Vista Emma is a clinical psychologist with a private practice in Eastlake. She specializes in working with Asians, Asian Americans, and Pacific Islander families and individuals. Outside of work, Emma and her husband Tony enjoy spending time with their three young children, ages 5, 3, and 1. Lets be honest, learning about the Bible is challenging and just "reading" without context can be outright confusing. Recently a group of artists and theologians crowdsourced an amazingly creative and ACCURATE study of the Bible via visually illustrative videos. Future Quest exists to encounter the reality, power and glory of God through passionate worship and His truth, and to train up young people to be bold disciples of Jesus. The focus of Future Quest Youth Conference has always been on God, His Truth, His presence and our response. We believe that God wants to use these 3 days to impact your life. We are confident that if you open your heart to God, HE will meet with you. 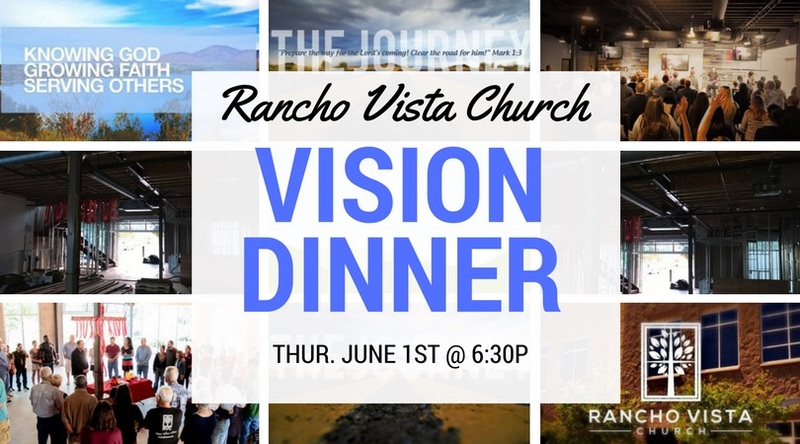 Enjoy a night of fellowship, trip-tip dinner, and here exciting upcoming plans for Rancho Vista Church.